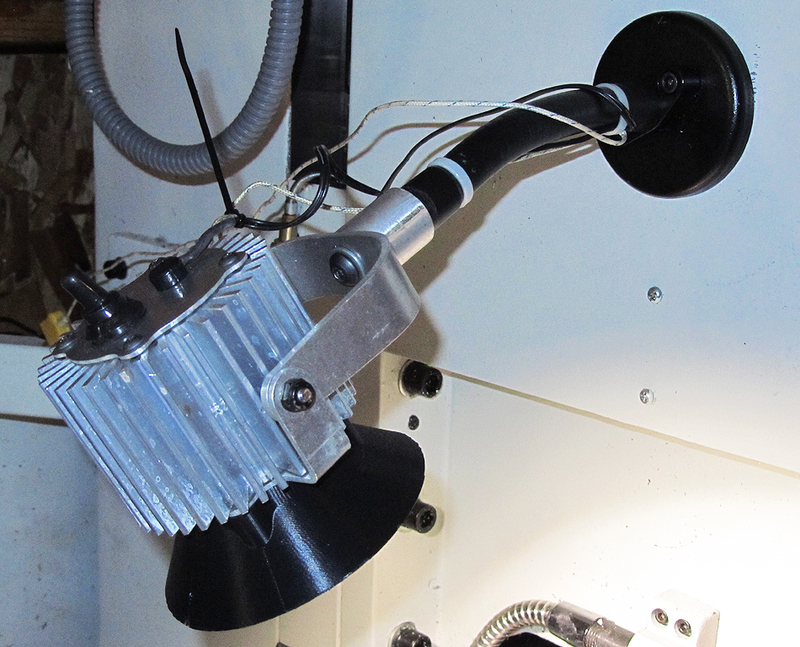 This fixture has also been used as a baseline for testing the finished product as it has evolved. For example, we found that black anodizing og the heat sink lowered the LED temperature under identical operating conditions by as much as 10°C. We have also evolved the use of spring washers in the hinge, made small adjustments in the use of fasteners, and added the disconnect power connection to replace the Heyco cord entry – all found from actively working with the product and improving every detail. The Mule will remain lighted and monitored along with others now being used in similar fashion with the latest components. While I do a great deal of individual component tests, like the effort we have put into finding the right power supply and driver combination, there is no substitute for testing and refining in use for developing a robust product. For example, we’ve found that under extreme temperatures, the pressure created between the extrusion and the glass lens creates small chips at the edges of the glass. We’ve corrected this by increasing the pocket depth and width provided in the extrusion, which has proven to eliminate the problem. In past tests, leading up to the Mule itself, we tested 6 different drivers on a dozen power supplies. We chose the driver we found to create the least amount of additional heat into the lighting head, matched to a power supply that results in 87% total efficiency at the highest operating temperature. Or, visit the Tasca web site for complete Tasca product line details and specifications.